Ann Weiss will present the keynote presentation. Sponsored by The Center for Holocaust and Humanity Education, to be held at Mayerson Jewish Community Center. The Last Album Photo Exhibition has moved from the Emory University campus to Atlantaâ€™s Marcus JCC, under the auspices of Cultural Arts Director Kim Goodfriend. There is a new dimension to this exhibition, in which we focus on the cultural life of the people in the photos, emphasizing the community and familial bonds. Weiss will participate in a panel discussion on Developing Traveling Exhibitions, at national conference on Curators and Curating. March 31-April 12, 2011â€”Helping Himalayan Children in Nepal. My participation in this effort stems from two impulsesâ€”1-we must never leave people alone who are in desperate need of help, and when we can do something to help change lives for the good, I feel compelled to do so, and 2-the founders, the Keenans, are cherished friends and I wish to help in their effort to improve the lives of some of the poorest children on earth. [Note: My efforts will continue to include other children in other trouble spots, as time progressesâ€”but in addition to my work with survivors, my work with student and adults here in the United States, I feel a need to reach out and help others as well, both domestically and abroad]. Weiss will photograph, interview, research and participate in activities of Himalayan Childrenâ€™s Charities, to write series of articles on the extraordinary efforts to change the lives of the poorest children, currently living in orphanages, by giving them high quality education and placing them environments that gives them hope, not despair. For more details, see Himalayan Childrenâ€™s Charities serving to improve the lives of children in Katmandu, Nepal. These 8th graders, thanks to the organization and inspiration of Jack Schneider, age 13, took a class trip to Emory University to see The Last Album exhibition. The student wrote reflections and responses to The Last Album photos and narratives. Now they will discuss thoughts and queries with Ann Weiss, and new stories from Weissâ€™ research will be shared. September 15-November 15, 2010â€”Emory University, Atlanta, Georgia. The Last Album Photo Exhibition will open September 15, and because so many departments wish to be involved, there will be photographic installations mounted in multiple locations around campusâ€”including the new Public Health building (opening in September 2010), Emoryâ€™s Medical School, the Center for Ethics, directed by Paul Wolpe, the new Hillel building (opening in September 2010), the Visual Arts Center and also the Schwartz Performance Spaceâ€”For the first time, the photographic exhibition will be mounted in conjunction with musical compositions from the Holocaust period, in which Weiss will interweave narratives among musical compositions performed on Tuesday September 28, 2010 at the Schwartz Performance Space. This joint program will feature Holocaust music by Italian composer, Lotoro, and will be coordinated and conducted by Honora and Robert Foah. Weissâ€™ Holocaust narratives will be interspersed between each musical performance. Over 100 photographs, culled from Ann Weissâ€™ collection of images that were confiscated by the Nazis from those who were interned at Auschwitz during World War II and compiled into her book, “THE LAST ALBUM: Eyes from the Ashes of Auschwitz-Birkenau,” will be on display at multiple venues at Emory University, including the Center for Ethics, the Visual Arts Gallery, the School of Medicine, and Cannon Chapel. The photographs will also be shown at Emoryâ€™s Schwartz Center for the Performing Arts in conjunction with a concert by prominent Atlanta musicians of music that was written and performed in the internment and concentration camps of World War II, and compiled for posterity by Professor Francesco Lotoro of Italy, who will be on campus to introduce the program on September 28. Additional programs will include guided walking tours of all the exhibition sites, multi-media presentations and book signings with Ann Weiss, and a lecture on â€œPhotography and the Holocaustâ€ by Visual Arts Associate Professor Jason Francisco. A complete listing of events and a map of the exhibition sites will be available at www.testamentsoftheheart.org after September 1. Testaments of the Heart will be the first time the images and music of the victims of the Nazi regime have ever been presented together. In fact, most of the music being presented on the evening of September 28th has never before been performed in front of a live audience. A debut of music written in Nazi concentration camps and a collection of personal photographs brought as keepsakes by Jewish deportees to those camps are part of a program at Emory University this month titled “Testaments of the Heart,” a celebration of the resilience of the human spirit. Noted author and Holocaust scholar Ann Weiss will present a campus-wide exhibition of photographs from her internationally acclaimed book, “The Last Album: Eyes from the Ashes of Auschwitz-Birkenau,” from Sept. 15â€“Nov. 12, 2010. Titled “Testaments of the Heart: Photographs from the Ashes of Auschwitz-Birkenau,” the selection of more than 100 photographs from “The Last Album” will be shown in five locations at Emoryâ€“the Visual Arts Gallery, Center for Ethics, School of Medicine, Schwartz Center for the Performing Arts, and Cannon Chapel. All the venues will host an opening reception from 4-7 p.m. Wednesday, Sept. 15, with a gallery talk and book signing by Weiss at the Visual Arts Gallery from 5-6 p.m. and special multi-media presentation by Weiss at 7 p.m. at the Center for Ethics. A map of all of the exhibition locations is available at www.visualarts.emory.edu. All events for the exhibition are free and open to the public; tickets are not required. A concert of music written in Nazi camps, compiled by renowned musician, composer and musicologist Francesco Lotoro, will have its international debut at 8 p.m. Tuesday, Sept. 28 at Emory’s Schwartz Center for Performing Arts. Scribbled in notebooks, diaries and even on pieces of lavatory paper, the collection provides a remarkable history of the music played and sung by the victims of the Holocaust. Musicians from the Atlanta Symphony Orchestra, the Georgia State University Orchestra and Emory’s Department of Music will come together to perform a selection of diverse musical pieces, from cabaret to classical, interspersed with visual imagery from Ann Weiss’ book, “The Last Album,” accompanied by stories and commentary from Weiss. Lotoro also will be present to provide a historical context and to perform a composition written for the organ. “Testaments of the Heart” is a series of visual art, music, and multi-media programs and lectures that seek to supplement the images and stories of brutality and death that are typically associated with the Holocaust with evidence of the humanity, creativity and faith of its victims. Dr. Weiss, the author of Last Album: Eyes from the Ashes of Auschwitz-Birkenau, who has interviewed hundreds of survivors of the Holocaust, will give a view of the lives of people before they became victims. This lecture is sponsored by the Robert Nichols Adult Education Fund. The Ma’ariv service, which lasts about fourteen minutes, will begin at 7:15 and will be followed immediately by the lecture. Sunday March 14, 2010â€”4 p.m. Marcus Memorial Lectureâ€”Ann will deliver the Fred Marcus Memorial Lecture, in Denver, Colorado. Organized in memory of survivor Fred Marcus, an exceptional survivor who tried to help others understand the value of life after the Holocaust, this lecture and film screening will take place at the Infinity Event Center at 4400 East Kentucky Avenue in the Glendale section of Denver. For tickets, go to: www.alumni.du.edu\fmmhl and for further information, contact Shoshana Zeldner at Center for Judaic Studies, University of Denver szeldner@du.edu or 303.871.3097. On Sunday March 14, 2010 from 2-4 p.m. University of Rochester Alumni of Denver will host a reception honoring Ann Weiss and her work, prior to the Marcus Lecture. March 6-8, 2010 Scholarâ€™s Conference on the Holocaust and the Churches, 40th anniversary conference and special sessions in memory of Franklin Littel, held at St. Josephâ€™s University and Temple University. Lindsay Hudgins attended Weiss’ Educators’ Seminar in Denver, sponsored by the University of Denver, the United States Holocaust Museum and the Holocaust Awareness Institute. For further information, contact Shoshana Zeldner at Center for Judaic Studies, University of Denver szeldner@du.edu or 303.871.3097. January 10-12, 2010 Association of Holocaust Organizations Winter Seminar, Washington, DC Series of annual seminars on diverse Holocaust research, in association with the United States Holocaust Memorial Museum. Sunday November 15, 2009 Ezra Taglit Birthright Leadership Training seminar for Soviet Jewsâ€”Seabreeze Community Center, Brooklyn New York. Coordinator Gene Smelyanskiy and assistant Olga Henkin organized talk, film screening and discussion for Russian Jews who emigrated from former Soviet Union twenty years ago, when they were children coming to US with their parents. This talk was part of a series of speakers to heighten cultural and historical connections to Judaism. These workshops are free of charge and open to the public. Continuing education credits are available for teachers and lawyersc. Space is limited; please register early! Sat October 10, 2009 6:30 p.m.-9:30 p.m.
Film Screening, Book Signing, Talk and Reception for Friends and Alumni of University of Rochester. Join University of Rochester alumni, parents, and friends for a powerful presentation of stories and images of Auschwitz-Birkenau. Millions of photos were brought to death camps, yet only some 2,400 images survived. Photojournalist and educator, Ann Weiss discovered these secret photos on a tour of Auschwitz-Birkenau in 1986 and then embarked on a tireless quest to bring these remarkable images to life. These photos reveal the lives of Jews who brought their memories with them when they thought they were going to be worked, not murdered. Weiss will share her story of the discovery of these photos as well as the stories of the lives of the people in them before they became victims. There is a $10 charge to attend which includes FILM SCREENING, TALK, and hors dâ€™oeuvres reception Advance reservations are requested. Copies of Weissâ€™ critically acclaimed book, The Last Album: Eyes from the Ashes of Auscheitz-Birkenau, will be available for purchase and signing. To register, please contact Office of Alumni Relations Megan Thompson at 877.MELIORA (877.635.4672) or visit us online at www.rochester.edu/alumnievents. Coming up for Eyes from the Ashes are appearances and exhibitions in Philly, NYC, Myrtle Beach and Columbia, South Carolina and in early 2010, bookings in Denver and 2011, an exhibition in Texas. In May (to a private audience of Young Leaders), Weiss will give a special hosted by HIAS, focusing on the roots of modern Jewish European history, vis a vis, the Eyes from the Ashes collection. In June 2009, Weiss will participate in the Association of Holocaust Organizations annual conference in California. In June-July, Weiss will participate in a 10 day seminar in Jerusalem, Israel. In August 2-7, Ann Weiss will attend and present a lecture at the National Association of Jewish Genealogists annual convention, to be held this year in Philadelphia. Annâ€™s talk on â€œPhotos Hitler Never Wanted You to Seeâ€ will take place on Monday August 3, 2009 at 11-12:30â€”which is exactly 66 years after the photos and their owners came to Auschwitz-Birkenau. We are honored to have Ann Weiss, a national lecturer on the Holocaust, join us to share Memoirs and stories about the Holocaust on Tisha B’Av, the Jewish National Day of Mourning. The Aish Center is located at 50 Montgomery Avenue, Bala Cynwyd, PA 19004. When: Tuesday, February 10th at 6:00 p.m.
SEE THE PHOTOS HITLER NEVER WANTED YOU TO SEE! These are the unknown personal photos that Jews brought with them to Nazi death camps when they thought they were going to be working not murdered. They give us an intensely intimate view of what and whom these people chose for their own remembering. Unlike photos usually identified with the Holocaust, these family photos resonate with life not death and show these individuals BEFORE being victimized, when they were living normal lives, much like our own. Ann Weiss discovered these unknown photos in Poland by accident, and has spent more than twenty years traveling the world, identifying the photos, interviewing survivors and sharing narratives with audiences in North America, Europe and the Middle East. Her stories are captivating, and the photos she will share, even more so! Donâ€™t miss this unforgettable program emphasizing the humanity of the people, not their victimhood. Copies of her book, The Last Album, will be available for a reduced price of $36.00. Dr. Weiss will personally inscribe each book. To RSVP, please e-mail: Susan Schwartz, Assistant Dean for Student Affairs at susansz@pobox.upenn.edu or call 215-898-4550 (Day) 215-898-0239 (Evening). January 11-13, 2009â€” AHO/ASSOCIATION OF HOLOCAUST ORGANIZATIONS at UNITED STATES HOLOCAUST MEMORIAL MUSEUM Winter Seminar, Washington, D.C.
Ann Weiss will present workshop entitled, â€œReading Photographsâ€”Process, Techniques and Praxis,â€ including an overview of photography history, as well as principles of photo analysis and individual photo examination. Held in the Catskills at the Nevele, Ann will present four presentations related to archival photos from Auschwitz-Birkenau, scheduled throughout the weekend. Presentations include: a) Stories to Fuel the Soul, b) Pivotal Narratives, Pivotal Principles, c) Reading Family Photos, and d) Photos Hitler Never Wanted You to See: Eyes from the Ashes. For detailed conference specifics, click here or email: info@limmudny.org. Wednesday November 6, 2008, 7:30-9:00 PM – Monmouth University, in West Long Branch, New Jersey. Memorial lecture, in honor of Dan Bar-On, will be given by Ann Weiss for 70th commemoration of Kristallnacht/ Night of Broken Glass, sponsored by Jewish Culture Program. Dan Bar-On, an influential leader in bringing people with differences (Palestinians and Israeli Jews, as well as children of Nazis and children of Survivors, etc.) together in dialogue, died of a brain tumor in September. His obituary, written by Palestinian professor Dr. Saliba Sarsar, was reason for Weiss and Sarsar to be in contact. However, it is not Danâ€™s death, but rather his lifeâ€”in bringing people together as a bridge between cultures and religionsâ€”that is the impetus for this memorial lecture. Thursday December 4 to Friday December 5, 2008 – Pennsylvania and New Jersey Holocaust Education Annual conference , held at Valley Forge Radisson Hotel. For further information, or to register for conference, please contact Deanne Comer at dconsult@verizon.net or 215-517-5905. January 11-13, 2009 – Association of Holocaust Organizations Winter Seminar, to be held at United States Holocaust Memorial Museum, and Georgetown Holiday Inn. Registration limited to registrants. Waiting list. Ann Weiss will speak at the Liberty Bell at 12:30 p.m., 6th and Market St, Philadelphia, PA discussing human rights abuses by Chinese government, from her perspective as a Holocaust scholar. The event is designed to bring attention to the Chinese Communist Party’s violation of human rights and their support of other governments who commit similar crimes. Related events are being sponsored throughout the world. Click here to see Israel’s Human Rights Global Torch event. The photos carried by Jews to remember their lives, when they were deported to Auschwitz-Birkenau, will be seen for the first time in Corpus Christi. School groups as well as civic and community groups will have special events. Curator Ann Weiss will give the premiere speech at the opening on May 8, 2008â€”in memory of Cvi Cukierman, zâ€l, whose birthday and whose liberation date were both May 8. Stories about the people in the photos, including the family of Cvi Cukierman, will be shared. Weiss will speak to university students at Simmons on both the meaning and the narratives of the photos discovered at Auschwitz-Birkenau. 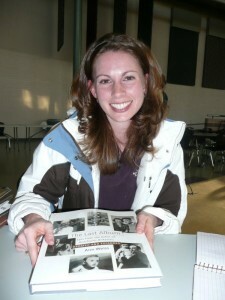 There will be an opportunity for students to see the photos, ask questions, and have books personally inscribed. Weiss will speak to students of Wentworth Institute, under the auspices of Professor Joanne Tuck about the photos carried into Auschwitz, about the people depicted in the photos, and about what this has to do with our own lives. Limited to U Penn students, faculty, staff. 6:00 p.m. The Photos Hitler Never Wanted You to See: the stories, the photos, the people. Ann Weiss will share narratives and photos that Jews chose for their own remembering, photos that put the final punctuation, not on their deaths, but on their lives. 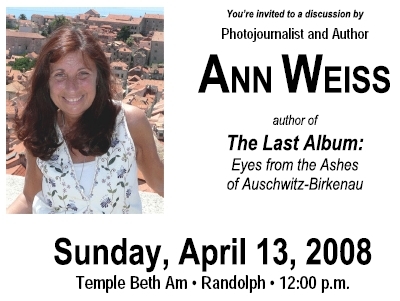 Weiss will also screen a video-montage of the Auschwitz personal photos, and will sign copies of her book, The Last Album: Eyes from the Ashes of Auschwitz-Birkenau. Fundraiser for the Cohen Hillel Academy, Swampscott, Massachusetts. In addition to Weissâ€™ keynote presentation, the evening will feature a tribute to Survivor Abraham Rogozinski, and special honoring of L. P. Summers, of Atlanta, Georgia. Program will be followed by light buffet and dessert reception. Featuring Ann Weiss, Dan Ben Amos, and others. Sponsored by JPS, URJ Press and Borders Books. Speech and Book Signing in center city Philadelphia. Villanova University, Falvey Library. Weiss will speak on Conscience and the Holocaust. Postponed at Villanovaâ€™s request until Sept 2008. Full day teacherâ€™s training for New Jersey Holocaust Commission on â€œThe Art of â€˜Readingâ€™ Photographsâ€”Before, During and After the Holocaust.â€ Goodwin Holocaust Museum and Education Center of the Delaware Valley, 9 a.m. For information, contact Dr. Paul Winkler or Judy Baker at (609) 292-9274 at NJ Division of Holocaust Education. Feb 18 University of Hawaii Kirk Cashmere Film Festival 7:30 p.m.
Feb 19 Ala Moana Hotelâ€”Speech to Chabad 7:30 p.m.
Feb 21 Winward Community College, 7:30 p.m.
Feb 23 Temple Emanual 7:30 p.m.
All programs in Hawaii are free and open to the public, except Midpac. For further information, contact Wendy Rosenfeld at 610-435-3571 x 110. Participation in Scholars Conference on the Holocaust and the Churches. Cleveland Marriot Downtown at Key Center at 127 Public Square. Film Screening and Storytelling for the Yiddish Culture Group at Haverford College. Chase Hall, 7:30p.m. For further information, contact Jeff Tecofsky Feldman at 610-896-1199. HIAS (Hebrew Immigrant Aid Society) research seminar to World Congress of Russian Speaking Jewry, detailing tales of research discoveries in The Last Album. Unorthodox research techniques as well as more common ones will be shared. 6-8 p.m.
ANN WEISS talks about her rare and moving collection of pre-World War Two photographs that belonged to deportes to Auschwitz-Birkenau. The photographs are featured in her book “The Last Album.” She came across a hidden cache during a visit to the camp in the early 1980’s. Joining in are TOLA GILBERT and BEN HIRSCH who found images of friends and loved ones among Weiss’ collection. Ann Weiss will be the third guest. Presentations to school and community. Special seminars for students and faculty. The Last Album has been chosen for inclusion in the educational teaching trunks to be circulated around Pennsylvania public and parochial schools for Holocaust education. These trunks of learning materials will assist teachers throughout the state in teaching lessons of the Holocaust using specially chosen curriculum material. At its annual meeting and as its featured event at the Festival of Books, Ann Weiss told stories of the pre-war lives in The Last Album. Ann Weiss talks about her rare and moving collection of pre-World War Two photographs that belonged to deportes to Auschwitz-Birkenau. The photographs are featured in her book “The Last Album.” She came across a hidden cache during a visit to the camp in the early 1980’s. Joining in are TOLA GILBERT and BEN HIRSCH who found images of friends and loved ones among Weiss’ collection. At kick off for the year, Weiss tells the history of the discovery and the project. Speech, film, book signing and reception. Although Director Vanco lamented lack of publicity for many museum programs, The Lasr Album garnered more publicity than the museum has ever had, and despite a blizzard on January 11, there was a standing room capacity crowd! Ann Weiss opens conference with film screening, 9 a.m. and luncheon discussion, Other participants include Robert Krell (Vancouver), Israel Charney (Jerusalem), Eva Fogelman (New York City), and members of the Transcending Trauma research team. Department of Peace and Justice, with Professor Sue Totten. Various seminar presentations. Because of Weiss, this as the first time Reform, Conservative and Orthodox Jews came together to commemorate the Holocaust. Joint appearance with author Ken Jacobson. Store Manager reports it was the largest crowd ever in the history of the store! Weiss’ packed morning and afternoon classes conclude with standing ovation! Weiss given highest conference evaluations for teaching. Keynote address and Eyes From The Ashes Photo Exhibition to standing room only crowd. Speech by Ann Weiss to capacity audience. Photo Exhibition led processional and captured media attention of all the telelvision stations. Ann Weiss presents to educators with Christopher Browning, Yaffa Eliach, Lawrence Langer, Michael Berenbaum and Deborah Lipstadt. Weiss premiers book before it is available in bookstores to home town audience. Book Fair organizers dub Weiss’ speech to a capacity crowd “most successful program of the entire week.” Identification by survivor Marion Landau of his favorite teacher. Mr. Landau is the son of judge at the Nuremberg Trials. Normally the Holocaust Commemoration attracts 50-75 people. When Ann Weiss spoke, over 500 people attended. Ann speaks at the largest BN in world. New Identification by woman who says, “This is my Daddy,” Leibl Henesh and discovery of family in America with family in Israel, of Nunberg Family. A 90-year old who thought she had no family left after the Holocaust will be reunited with her newly discovered 80-year old cousin from Poland and Israel. Exhibition runs through September 28, 2001. 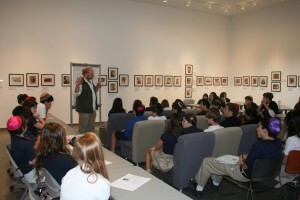 Special Excursions to exhibit organized by Smithsonian Associates (September 1, 2001), National Endowment, and International Red Cross on occasion of 10th Anniversary of Holocaust Tracing Bureau (September 11, 2001). Weiss presents film screening and lecture with James Young, author of The Texture of Memory, Norman Kleebart, Artist, The Jewish Museum in New York, and Nelly Toll, Artist and author. Ann Weiss speaks at exhibition premier at Clark University’s Center for Holocaust Studies, November 28, 2001. The Holocaust Center’s Director is Dr. Deborah Dwork. Exhibition runs through December 21, 2001. A Multidisciplinary Conference: How We Cope and Adapt after Traumatic Life Experiences, Philadelphia, PA. December 2-3, 2001. Ann Weiss opens conference with film screening of Eyes from the Ashes, brief remarks. Other participants include Israel Charney (Jerusalem), Eva Fogelman (New York City), Helen Epstein (Boston), Robert Krell and Peter Sudfeld (both of Vancouver), and members of the Transcending Trauma research team, directed by Dr. Bracha Hollander. For further information, see www.pcfr.org and click on Transcending Trauma. Ann Weiss teaches seminar based on The Last Album. For schedule and specific information, contact Jewish Learning Institute Adult Education at (561) 756-0178.
whose National Honarary Chair are Hadassah and Joe Lieberman will continue exhibiting in St. Louis, Missouri. Check here for details. Feature on Ann Weiss and The Last Album by Alex Van Oss. Segment included conversation with Survivors Morris Rosen, originally from Dombrowa Gornica, Poland; Benjamin Hirsh, originally from Frankfort, Germany; and Henry Skorr, born in Kalish, Poland. B’Nai B’rith Klutznick National Jewish Museum. Special Events will be scheduled in May and June . Senator Joe Lieberman and Hadassah are the National Honorary Chairs of the traveling exhibition. Special Excursions to exhibit have been organized by the National Endowments, Smithsonian Associates (September 1, 2001), and International Red Cross on occasion of 10th Anniversary of Holocaust Tracing Service (September 11, 2001). Ann Weiss will speak to the International Red Cross on September 11 at 10:30 a.m.
At the book’s publication, I knew that the soldier was wearing the uniform of the Polish Army, but no other identifying data. As soon as the book was published, I received a call from Israel. The soldier’s nephew, Cvi Cukierman, identified him as Avram Cukierman (pronounced Tsu’ker man) and his fiancÃ©e, then wife, Hela Krzesivo (pronounced Sheh’shi vah). For further information about the family, see pp120-133. Avram Cukierman was a baker in Bendin, and his cakes and pastries were legendary. “People traveled from over a hundred kilometers to eat his cakes,” remembers Cvi. Many years ago, when I was doing early research for this book, I visited a large group of survivors living in New York, who originally came from the Zaglembie region of Poland where many of these photos originated (Zaglembie includes Bendin and Sosnowiec in south central Poland, and has its administrative center in Katowice). Picture this scene: a group of survivors arguing over what to order at Gayle Rifkele’s Pastry Shop in Bendin, each with a definite opinion of what is the most delicious. The aging survivors, good-natured and animated, argued for many minutes over their favorite dessert—but the restaurant does not exist anymore, the baker has been dead since April 1944, and there are no Jews left in the town. Still the discussion is as earnest and heartfelt, as if in the next moment they will be ordering their favorite dessert at Gayle Rifkele’s. Avram was the son of Rifkele and Hershel Cukierman, who owned the famous pastry shop in Bendin, Poland. His wife, Hela Krzesivo, was the sister of a leader Gordonia Zionist leader, Motek Krzesivo, who spent the war years in a Red Cross camp in Switzerland. Avram and Hela and their two beautiful young daughters, Halinka (born 1931) and Gutcha (born 1935), together with sisters, brothers, nieces, nephews, cousins, parents, aunts and uncles were killed. Though the war’s toll on this family was very high, the memories that linger are still very sweet. At the Jewish Book Festival in Philadelphia (Kaiserman JCC), where The Last Album was shared in a pre-publication premiere, a man from Bendin, Poland identified his beloved teacher from Furstenberg Gymnasium (Academic Academy). He is the son of the judge from the Nuremberg Trials who condemned Adolf Eichmann to death. Details will be shared as soon as he and I can speak at length. *Avraham Susskind, a survivor from Sosnowiecz, who described, first-hand, the last moments of his best friends’ lives (see pp. 172-3). *Relative of Artur Huppert (pp.144-155) who looks remarkably like his dashing relative in the photos. *Participants from the original 1986 trip, Peggy Carver, Arlene Finkler, Beth Reisbord, and Sue Weiss, my sister, were present.